​Are microorganisms responsible for corrosion in uncoated underground diesel storage tanks? 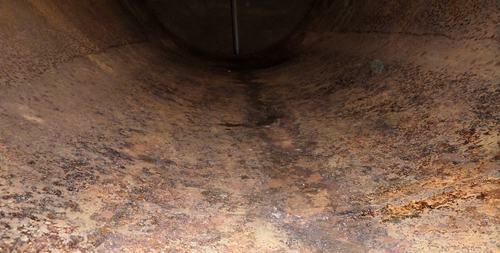 Over the past years tank inspectors observed an increase of corrosion in uncoated underground diesel storage tanks. This is alarming, because corrosion could possibly weaken the tanks, which could cause fuel to leak into the soil and induce environmental damage. For the Dutch Foundation Infrastructure Quality Assurance of Soil Management (SIKB) these observations pose the reason to start a comprehensive study into the cause of these problems. Microbial Analysis has been commissioned to look into the possibility if there is a microbial trigger for the accelerated formation of corrosion in the storage tanks. The ultimate goal of this project is to prevent another costly soil remediation campaign like the one performed in our country during the eighties (Actie Tankslag). What has changed in the past 10 years? The blending of biofuel with fuel is considered to be a potential cause of the increase of corrosion in uncoated underground diesel storage tanks. With the EU’s new renewable energy policy, mixing diesel with biofuel is mandatory since 2007. In addition, the sulphur content in diesel has been reduced for environmental reasons since 2005. At the moment, the minimum admixture proportion of biodiesel is 4%. For 2020 the target is an admixture of 8% renewable fuel. In other words, if adding biofuels is causing corrosion, problems will only get bigger. Are microorganisms really the perpetrators? The first study shows that it is highly probable that microorganisms are the cause of the accelerated corrosion in the uncoated storage tanks. This is deduced from the fact that, in addition to the finding of pitting corrosion (which is characteristic for MIC), micro-organisms have been found which we know are capable of accelerating corrosion. Remarkable is, for example the presence of bacteria that produce acetic acid, as a result of which locally accelerated corrosion can occur. The historical data on damages show that the average pitting corrosion depth has increased and the average wall thickness has decreased rapidly, since 2007. 2007 is exactly the year that blending of biodiesel in the Netherlands became mandatory and sulphur content was reduced. 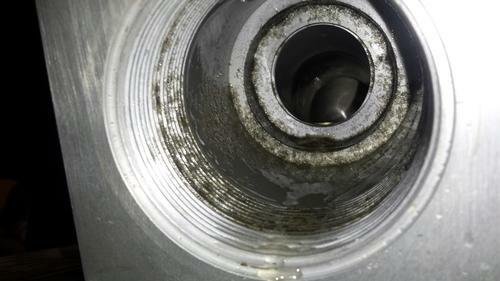 In short, it seems very plausible that the increase in corrosion is due to MIC-related microorganisms, which thrive better in an environment with biodiesel and low sulphur content. To further confirm this conclusion an additional number of tanks will be examined. How can we prevent leakage caused by MIC? Based on the results of the follow-up investigation, the protocol for tank inspection of uncoated underground diesel tanks will be updated by the SIKB. In addition, we are looking into an alternative method for a more rapid detection of MIC. Among others, we are researching whether or not a quick and cost-effective analytical test of scaling in tanks can be useful as an indicator test for MIC. Is it possible that admixing biofuels causes corrosion? There are two major differences between biofuels and fossil fuels: biofuels are more degradable and absorb water much easier. 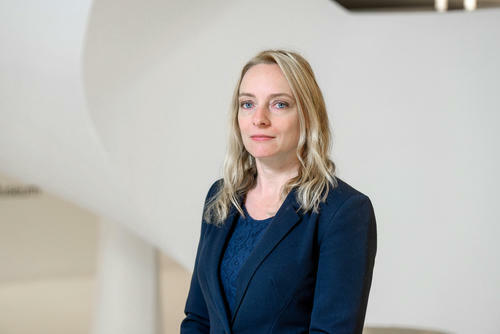 These two factors, water and an available energy source, can in theory explain that the admixing of biofuels makes the environment in storage tanks more suitable for microbial growth. It is known that certain microorganisms are capable of forming a film on the inner surface of a tank wall. This is similar to the formation of dental plaque on our teeth. Just like the bacteria that affect our teeth, microorganisms can cause an acid attack on the tank surface. Due to the collaboration of several types of microorganisms the tank wall gets damage and dents - the so-called pitting corrosion- begin to form. We refer to these microbiological attacks as microbiologically influenced corrosion or MIC. The rate at which MIC occurs can be up to 10-100 times faster than chemical corrosion. This is a very undesirable situation, which makes the normal life span of a tank shorter and increases the change of leakage within the 15-year inspection period substantially. Another factor that could contribute to an increase in microbial growth in storage tanks is the mandatory reduction of sulphur in diesel, because sulphur is known to have an antibacterial effect.